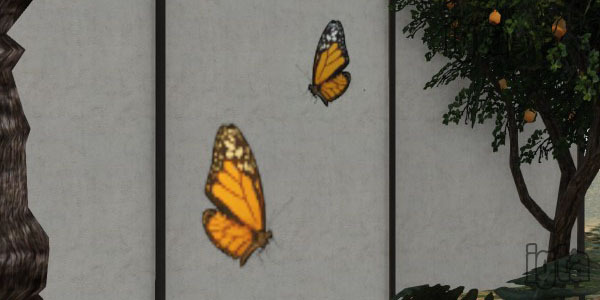 Butterflies can be seen flying around gardens or other flower-filled areas. 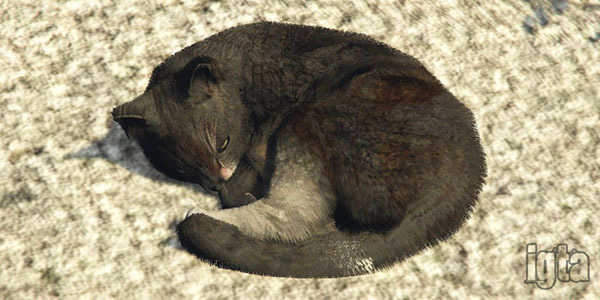 The PC/PS4/Xb1 version of GTA V includes cats which can be spotted lounging in alleyways. Cluckin' Bell get's their food from somewhere. 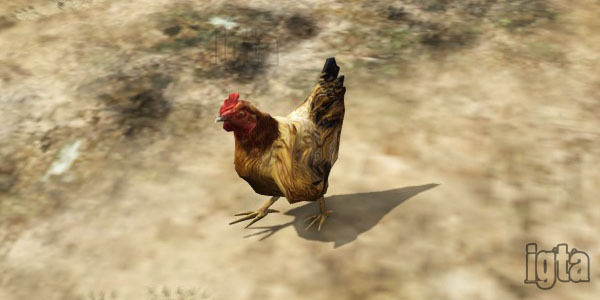 Chickens can be found around villages or small farms in Blaine County. 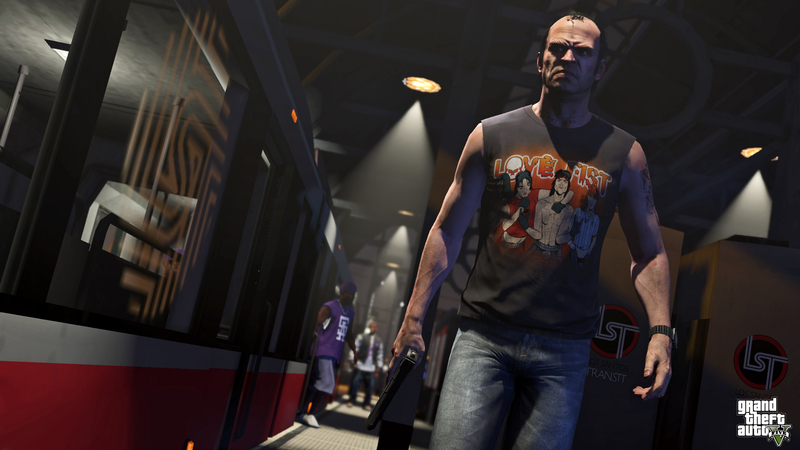 Trevor's trailer gets a little more gross in the PC/PS4/Xb1 version of GTA V. Same with trash piles and dumpsters. 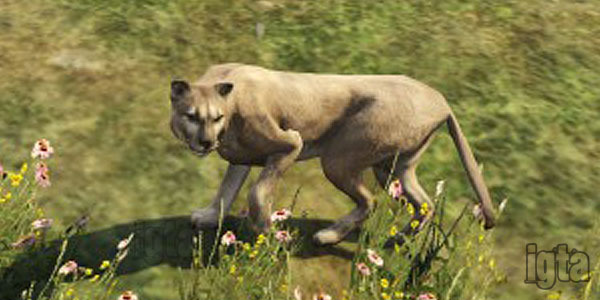 Creeping around the mountains, their growl still brings fear to the most heavily armed assassin. Scavenging food in the open areas of Blaine County and wander into towns at times. Run in packs of three. 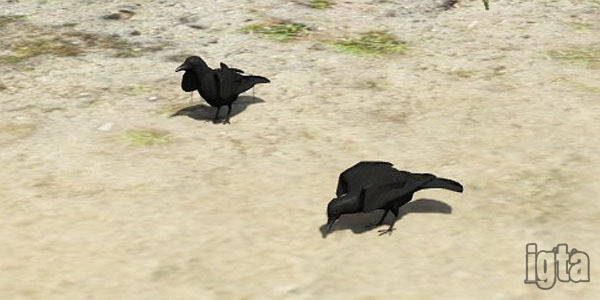 A group of crows is called a murder. Keep that in mind. Labrador retrievers and rottweilers (standard or mix with brown fur) keep residents of the area company and offer protection. 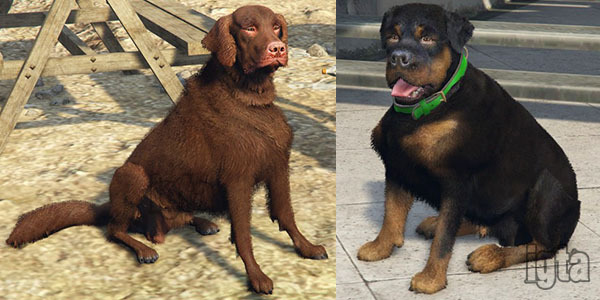 The PC/PS4/Xb1 version of GTA V adds huskies, border collies, pugs, poodles, and west highland terriers to the mix. 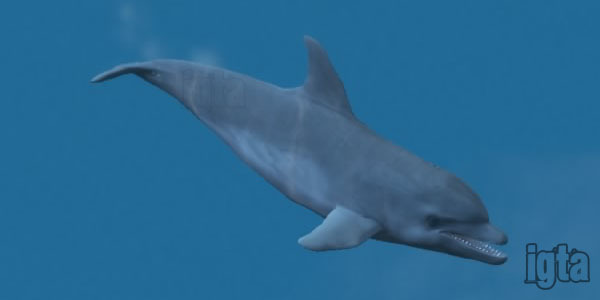 The PC/PS4/Xb1 version of GTA V includes dolphins which hang out near beaches but usually shy away from people. Prancing around the woods and open grass areas of the countryside. Usually grouped in fours. 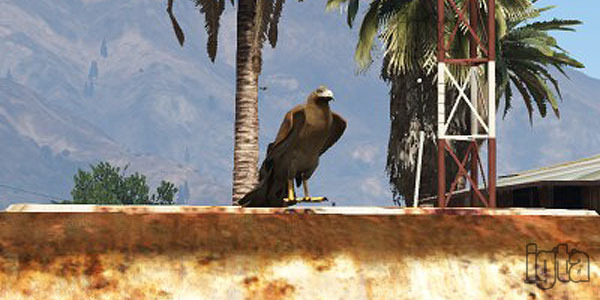 There are various types of fish swimming around the waters of Los Santos and Blaine County. 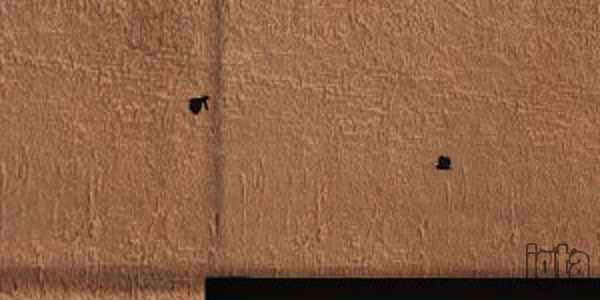 Small, pixelated little flies fluttering around trash or sometimes plants. 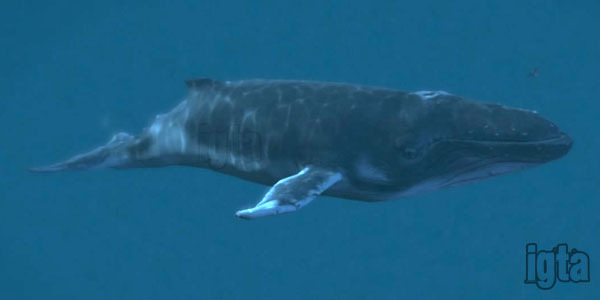 The PC/PS4/Xb1 version of GTA V features humpback whales in deep water just off the coast. 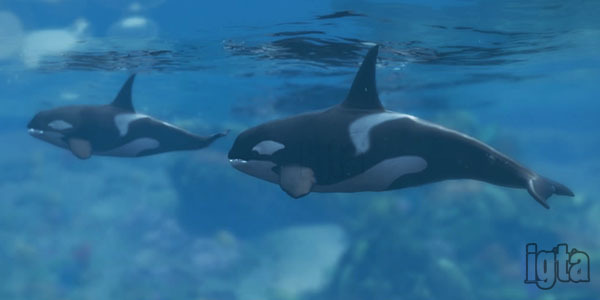 Free Willy and friends take residence in the waters of the PC/PS4/Xb1 version of GTA V.
These appear in a few spots during the story and in other entertainment options. 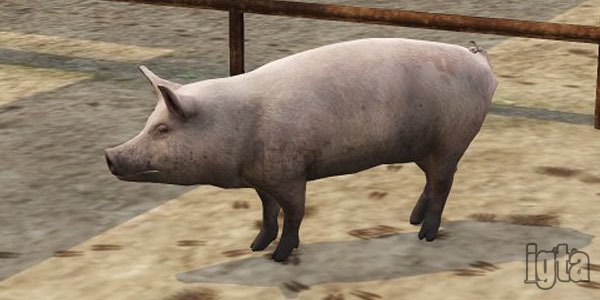 Oink, oink! 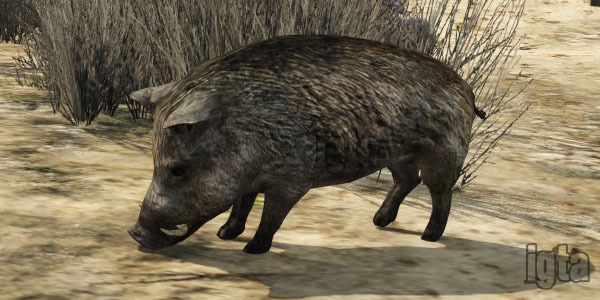 Pigs can be found around some farms outside Los Santos including Madrazo's place. 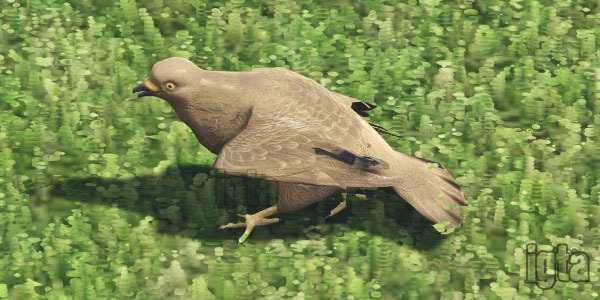 Those infamous flying rats return in the PC/PS4/Xb1 version of GTA V. Sit around a park or the golf course long enough and they'll wander near. Little Bunny Foo Foo is going to get more than a bop on the head. 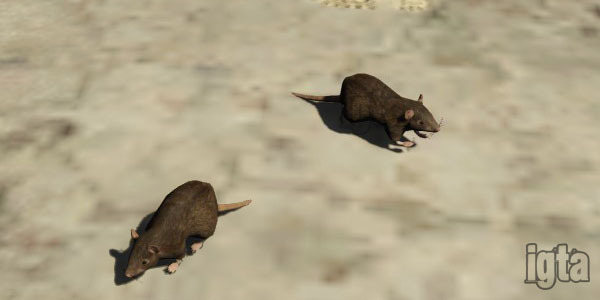 PC/PS4/Xb1 version of GTA V.
Scurrying around all over the place. You can walk right by them without noticing. Seagulls can be found pretty much anywhere there's a lot water. Especially the coastlines. 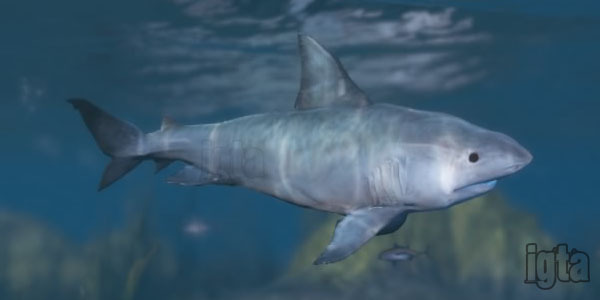 Great White/Bull sharks roam the ocean especially near Mount Gordo. Don't be exposed in open water for too long or else they'll come find you. 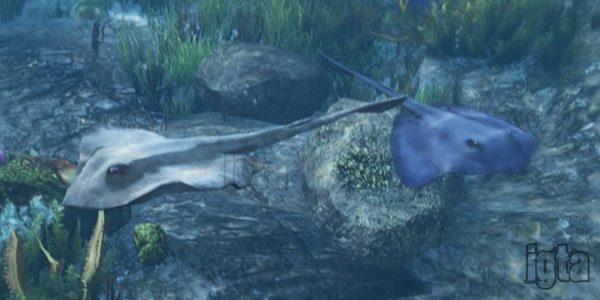 More friendly Hammerheads appear in the PC/PS4/Xb1 versions of the game north of Chumash. 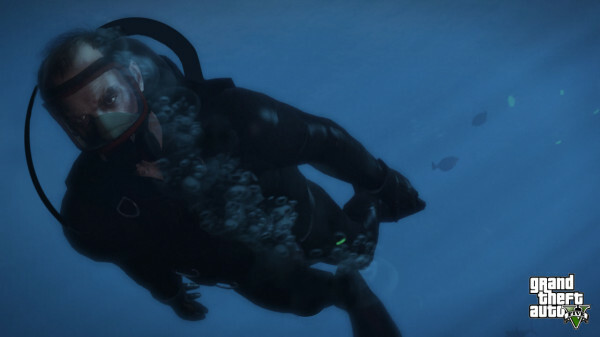 The PC/PS4/Xb1 version of GTA V includes stingrays gliding above the ocean floor near beaches. 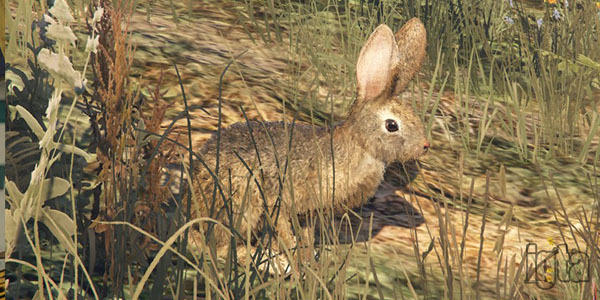 This elusive animal can be found in a few areas of Blaine County just off roadways including the sonar collections dock. 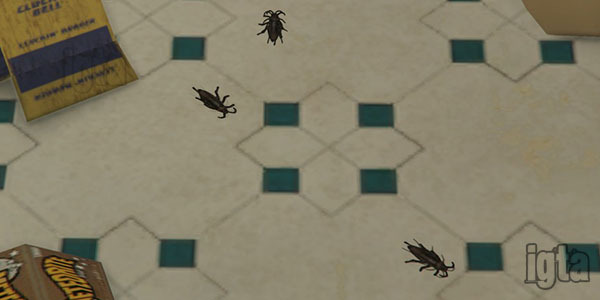 In addition to these creatures you may also come across aliens in a few places during the game and even a sasquatch. 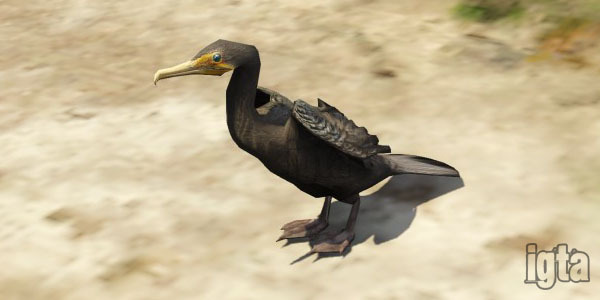 "More friendly Hammerheads appear in the PC/PS4/Xb1 versions of the game north of Chumash"
Yes there is a snake in the Yellow Jack Inn and Vanilla Unicorn, however, they are only props. 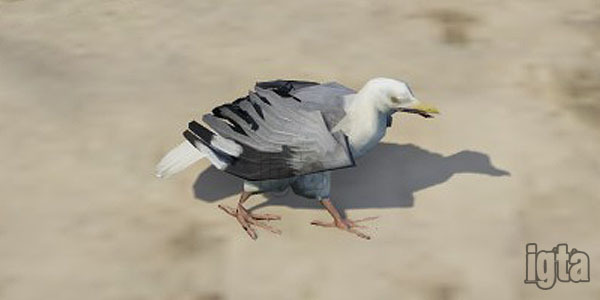 They do not move and have no interaction. Nope. 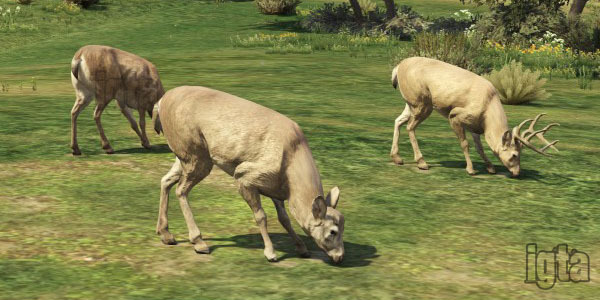 Animals are not in GTA Online and at this point they will not be added to the GTA V incarnation. 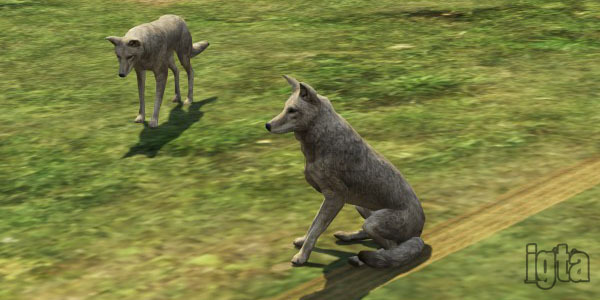 So are the animals online also? 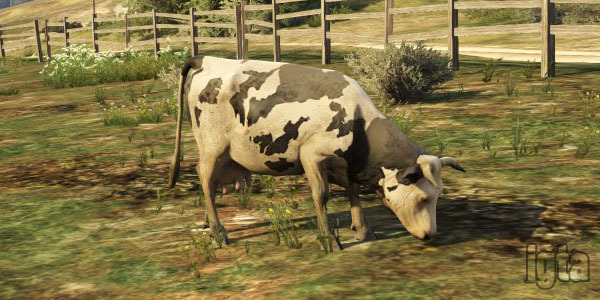 GTA 5 Animals - If you liked the animals in Red Dead Redemption, you'll love smashing them with cars in GTA V!